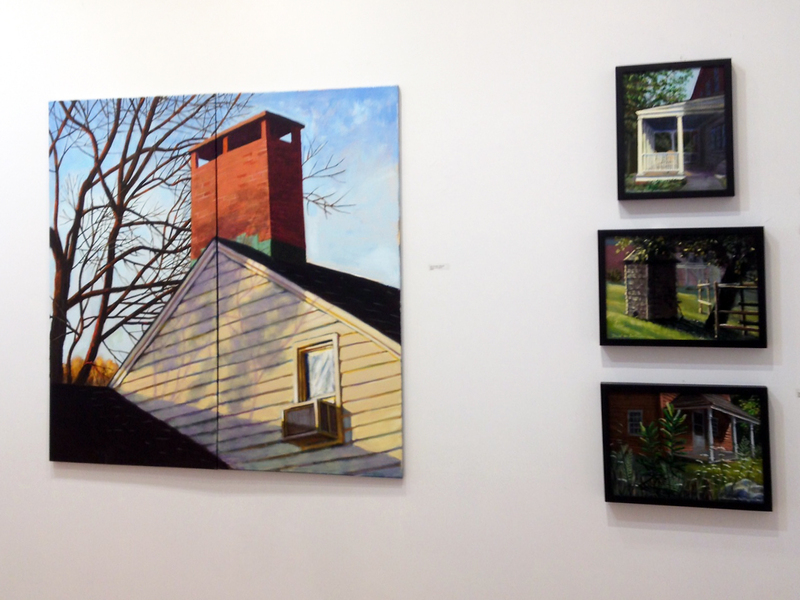 I'm happy to report that my current show at Upstream Gallery is generating interest and sales. The large painting above, at left, Late November Light (a diptych four feet by fout feet), among the largest paintings I've done, has sold to a collector who is new to me and apparently new to the gallery as well. At the other extreme, I've sold the smallest piece in the show, a plein air study I did at Weir Farm last summer, sold to a fellow-artist in the gallery. And in between those extremes, I'm talking with some people who are interested in commissioning work as well. The show is up for another week and a half, through Sunday the 21st. Pictures on the web are nice, but I painted them to be seen in person. Do stop by and say hello to me or one of my colleagues at the gallery.